The science of superconducting electronics was first developed over forty years ago, fifty years after the discovery of superconductivity. Since then, a wide range of applications has emerged, and more are envisaged within this ever expanding and exciting field. 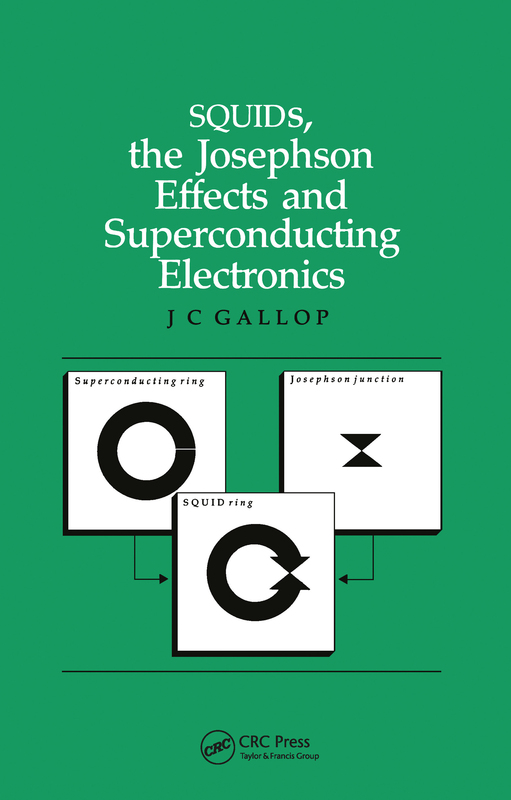 SQUIDs, the Josephson Effects and Superconducting Electronics chronicles this development from fundamental principles to the present work with high-temperature superconductors. The book discusses superconductivity, Josephson effects, and detectors of unparalleled sensitivity such as SQUIDs. It punctuates theory with practical discussions on how to harness this new science. This complete guide to the subject is an invaluable resource for graduate students and researchers with a specific interest in this field. It also provides guidance to those working in areas of industry where superconducting electronics could be applied.